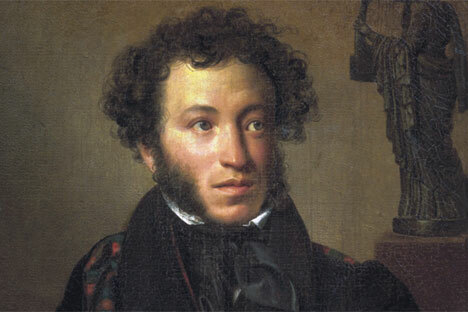 A Russian publishing house has released an expanded edition of celebrated Pushkin translator Julian Henry Lowenfeld’s "My Talisman: The Poetry and Life of Alexander Pushkin." The poet and playwright Julian Henry Lowenfield has presented a new edition of his book of Pushkin translations at the Russian author’s apartment museum in Moscow. My Talisman: The Poetry and Life of Alexander Pushkin is the only bilingual version of Pushkin’s poetry currently available. Published by Moskvovedenie, it contains more than 140 poems and almost the entirety of the novel-in-verse Eugene Onegin. Along with selected poetry, Lowenfeld includes an inspiring biography of the genius Russian poet, based on in-depth analysis of Pushkin’s diaries and letters. In 2010 Lowenfeld’s book received Russia's prestigious Petropol Prize for literary excellence – the first time a foreigner had ever received the award. His verse translation and adaptation of Pushkin’s Little Tragedies was showcased in November 2009 at the Baryshnikov Arts Center, and he is currently seeking backing to stage it off-Broadway. Julian Lowenfeld comes from a rich heritage of Russian translators: he is the great-grandson of Raphael Lowenfeld, the first translator of Leo Tolstoy’s works into German. QUIZ: Which character are you from Eugene Onegin?